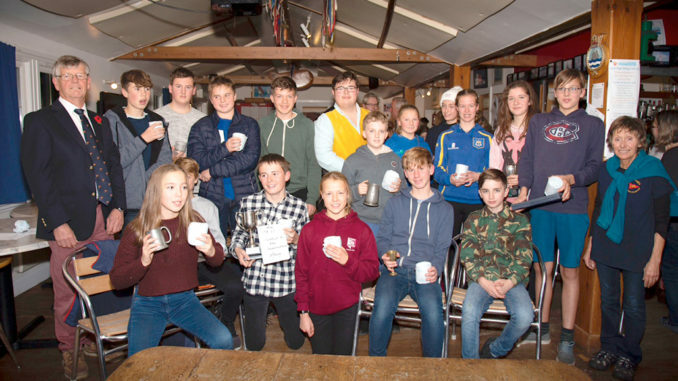 YOUTH sailors who have attended training sessions in Lyme Regis brought their parents and families along on Saturday to enjoy their annual prizegiving before the fireworks and bonfire on the beach. Lyme Regis Sailing Club Commodore Jerry Rook handed the trophies and congratulated those selected by group leaders. Addressing the crowded club, club secretary Sally Holman announced individual winners, successful for a mixture of achievement, teamwork, commitment or progress. Ages of youth sailors range from 10 to 17 years, abilities from beginners to independent club sailors. 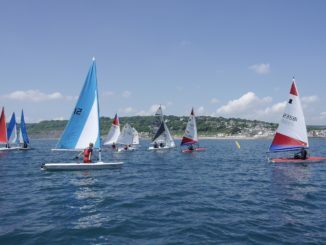 The youth section has been an important feature of the club for many years and has expanded with an Optimist section and match racing skills for the older students. 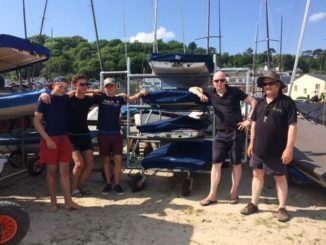 Ms Holman added: “We continue to offer a low cost opportunity for local young people to have a go at sailing, in a safe environment where they have experienced sailors and young volunteers to teach them. 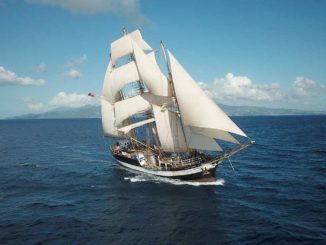 We work to RYA guidelines with emphasis on seamanship and good practice. Coach Jim Thomas thanked organisers and all who have supported our youth section, including harbourmaster Grahame Forshaw. The Jim Gait Trophy for Seamanship, awarded to the top youth all rounder, sailor and volunteer, went to popular Jack Young. Four of the Tuesday session sailors completed modules of their Duke of Edinburgh Bronze Award with the club, from skills to volunteering levels, mentored by Jim Thomas, and three older youth members were taken through their Power Boat L2 as a reward for assisting on the water at the past three major championships the club has run.